Sade Turnipseed is a public historian (educator) and community outreach (Public Relations) specialist. She is also the long-time host and producer of Delta Renaissance the number one rated (locally generated) talk show in the Mississippi Delta, which airs during primetime on the NBC affiliate network. 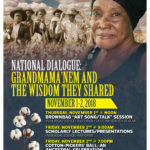 As Founder of Khafre, Inc, and da’ House of Khafre, Turnipseed initiated: the Cotton Pickers of America Monument, Sharecroppers Interpretive Center, and Cotton Kingdom Historical Trail; the Sweat Equity Investment in the Cotton Kingdom Symposium and Cotton Pickers Ball; and the Healthy U Gourmet Academy for Youth in the Mississippi Delta. Prior to coming to the Delta Turnipseed was the visionary force at the helm of numerous cultural arts programs, throughout S.F Bay Area, including Khafre Cultural Community Center and Sade’s Court in downtown Oakland. Turnipseed also served as Programming Director for Peralta Colleges Television; and as community outreach associate for KQED-TV, in San Francisco. Turnipseed was invited to Ghana, by the UNAID’s Global Alliance of Mayors and Leaders from Africa and of African Descent, to participate in the 4TH WORLD SUMMIT OF MAYORS AND LEADERS FROM AFRICA AND OF AFRICAN DESCENT: Cities Leading Sustainable Human Development and Economic Empowerment for Africa and the Diaspora. The event was held on June 1-3, 2015, and hosted by His Excellency Mr. John Dramani Mahama, President of the Republic of Ghana. On October 23, 2012, Turnipseed received a US Congressional Honor by Congressman Bennie G Thompson, for her commitment to preserving the rich history and heritage of the Mississippi Delta. In 2008, Mississippi Governor Haley Barbour selected Turnipseed to be one of three Fellows for the Delta Regional Authority’s, Delta Leadership Institute. She has also received the NAACP Youth Outreach and Cultural Learning Award, in 2012. As the official Diaspora representative to the Pan African Film Festival, Ouagadougou, Burkina Faso (FESPACO), Turnipseed served in this capacity between the years 2003-2009. Turnipseed sat on the Board of Directors for The Blues Foundation, in Memphis TN; Blues Society, Indianola, MS; the Mississippi Delta Arts Alliance, Belzoni, MS; and, the National Association of Black Storytellers, Baltimore, MD. Turnipseed is the recipient of numerous community services and arts advocacy awards; and, ran an impressive 2013 mayoral campaign as the Independent candidate for Mayor in the city of Indianola, MS. She received over 42% in a two-week general election campaign against the Democratic incumbent. Turnipseed is an internationally acclaimed public historian who has been invited to speak and facilitate workshops in: Ghana, China, Barbados, Norway, France, Burkina Faso, Ivory Coast and Nigeria. Professor Turnipseed currently teaches American and World History at Mississippi Valley State University; and has taught previously at University of District of Columbia, California State University, Northridge. 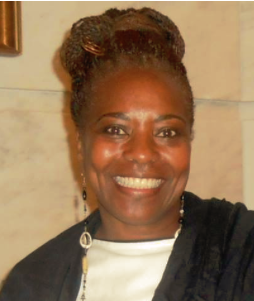 She is the founding Director of Education and Community Outreach for the B.B. 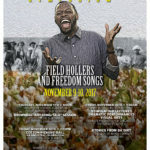 King Museum and Delta Interpretive Center, in Indianola, MS; and, the Cultural Arts Director for the Mississippi Action for Community Education, (MACE—producers of the MS Delta Blues and Heritage Festival). Turnipseed’s true passion is her work with young people. As demonstrated in every endeavor, Turnipseed makes it known that “if it does not involve the children, it does not involve me.” As demonstrated in the founding of Healthy U, The Harmonica Parade, and the Young Publisher’s Network (YPN) established in 2006. In essence, the philosophical approach and teaching strategy applied to my classes is one that emanates from an ancient African dictate to historical understanding and cultural appreciation. It begins with an understanding of self. You cannot fully function in society, nor appreciate the significance of lessons from the past, if you have no understanding of your own history.